Join us for a free, inspiring, art-filled evening and learn why Domsky Glass was named “Best of Las Vegas” gallery for 2017. You’ll enjoy a live glass blowing demonstration, an amazing gallery exhibiting local artists’ work, a huge studio space where some of Las Vegas’ treasured glass works have been created, and a boutique with one-of-a-kind creations. Parking and admission are totally free. 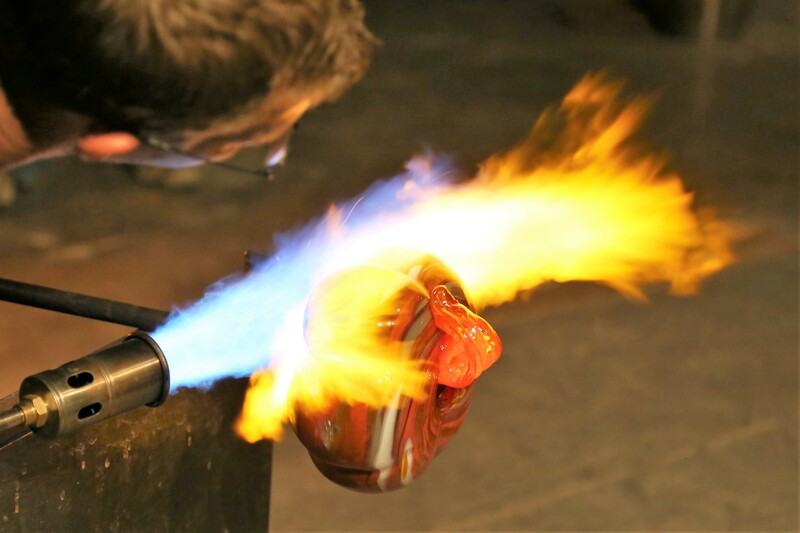 If you would like reserved seating for the glass blowing demonstration- so you can relax and get an up-close look at this fascinating process- it’s just $10. You can make arrangements by emailing domskyglass@aol.com or calling (702) 616-2830.